Greg Maddux has won 18 Gold Gloves, the most in Major League Baseball history. The Rawlings Gold Glove Award, usually referred to as the Gold Glove, is the award given annually to the Major League Baseball players judged to have exhibited superior individual fielding performances at each fielding position in both the National League (NL) and the American League (AL), as voted by the managers and coaches in each league. Managers are not permitted to vote for their own players. Eighteen Gold Gloves are awarded each year (with the exception of 1957, 1985 and 2007), one at each of the nine positions in each league. In 1957, the baseball glove manufacturer Rawlings created the Gold Glove Award to commemorate the best fielding performance at each position. The award was created from a glove made from gold lamé-tanned leather and affixed to a walnut base. Initially, only one Gold Glove per position was awarded to the top fielder at each position in the entire league; however, separate awards were given for the National and American Leagues beginning in 1958. Greg Maddux has won the most Gold Glove Awards among all players, including pitchers, in Major League Baseball history. 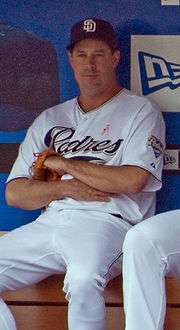 He won 18 awards, all in the National League; his streak of wins was consecutive from 1990 through 2002 until interrupted by Mike Hampton in 2003. Maddux won five more awards from 2004 to 2008, after which he retired. Jim Kaat is second and held the record for most wins (16) until he was displaced by Maddux in 2007. He won 14 awards in the American League and 2 in the National League; his 16 consecutive awards is a record among winners. Bob Gibson won nine Gold Gloves with the St. Louis Cardinals, and the inaugural winner Bobby Shantz won four awards in each league, for a total of eight. Mark Langston and Mike Mussina are tied for the fifth-highest total, with seven wins each. Five-time awardees include Ron Guidry, Phil Niekro, and Kenny Rogers; Jim Palmer won four times. Gold Glove winners at pitcher who have been inducted into the Baseball Hall of Fame include Gibson, Palmer, and Niekro. Maddux made the most putouts in a season (39) three times in his career (1990, 1991, and 1993). The American League leader is Frank Lary, who made 32 putouts for the Detroit Tigers in 1961. Kaat is the leader in assists; he made 72 with the Minnesota Twins in 1962. The National League leader, Maddux, trails him by one (71 assists in 1996). Many pitchers have posted errorless seasons and 1.000 fielding percentages in their winning seasons; Mussina is the leader with four perfect seasons in the field. Guidry (1982–1984) and Mussina (1996–1998) both accomplished the feat in three consecutive seasons. The most double plays turned by a winning pitcher is nine, accomplished by Maddux in 2006. Four pitchers have also thrown no wild pitches in a winning season: Maddux (1997, 2006), Kaat (1975), Shantz (1961, 1962), and Rogers (2005). In contrast, the most wild pitches in a winning season is 18, by the knuckleballing Niekro. The fewest balks in a winning season is zero, achieved many times, but Maddux accomplished the feat the most time in his wins (12 balk-free seasons in 18 years). The most balks in a winning season is five, by Mike Norris in 1981 and Orel Hershiser in 1988. 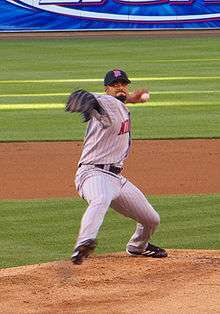 Langston picked off the most runners from the pitcher's mound in a winning season, with 10 in 1993; four pitchers are tied for the National League lead with 5 pickoffs. 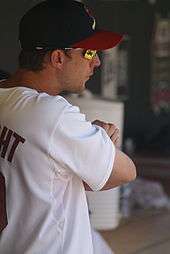 Rogers posted both the highest (100% in 2002) and lowest (0% in 2005) caught stealing percentage in a winning season. Shantz' 1961 season tied Rogers' 0% mark for lowest percentage caught, and three pitchers are tied for the National League lead (67% caught). a "Caught stealing percentage" is calculated as CS⁄SBA, where CS is the number of baserunners caught stealing and SBA is stolen bases attempted (stolen bases + caught stealing). b c In 1957, Gold Gloves were given to the top fielders in Major League Baseball, instead of separate awards for the National and American Leagues; therefore, the winners are the same in each table. 1 2 "Rawlings to Unveil Ballot". Rawlings. February 13, 2007. Retrieved June 4, 2009. Members of the original 1957 Rawlings Gold Glove Team: Willie Mays, CF (New York Giants); Al Kaline, RF (Detroit Tigers); Minnie Minoso, LF (Chicago White Sox); Frank Malzone, 3B (Boston Red Sox); Nellie Fox, 2B (Chicago White Sox); Gil Hodges, 1B (Dodgers); Roy McMillan, SS (Cincinnati Reds); Sherm Lollar C (Chicago White Sox); and Bobby Shantz, P (New York Yankees). ↑ "About the Award". Rawlings. Retrieved June 4, 2009. 1 2 "National League Gold Glove Award Winners". Baseball-Reference.com. Sports Reference LLC. Retrieved June 4, 2009. ↑ "American League Gold Glove Award Winners". Baseball-Reference.com. Sports Reference LLC. Retrieved June 4, 2009. 1 2 3 4 5 6 7 "Greg Maddux Statistics and History". Baseball-Reference.com. Sports Reference LLC. Retrieved August 15, 2009. ↑ "Maddux announces retirement after 23-year career". ESPN. Associated Press. December 9, 2008. Retrieved August 15, 2009. 1 2 3 "Jim Kaat Statistics and History". Baseball-Reference.com. Sports Reference LLC. Retrieved August 15, 2009. 1 2 "Bob Gibson Statistics and History". Baseball-Reference.com. Sports Reference LLC. Retrieved August 15, 2009. 1 2 "Bobby Shantz Statistics and History". Baseball-Reference.com. Sports Reference LLC. Retrieved August 15, 2009. ↑ "Mark Langston Statistics and History". Baseball-Reference.com. Sports Reference LLC. Retrieved August 15, 2009. 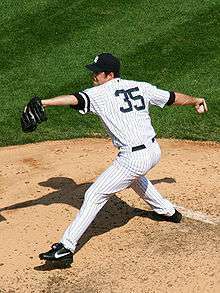 1 2 3 "Mike Mussina Statistics and History". Baseball-Reference.com. Sports Reference LLC. Retrieved August 15, 2009. 1 2 "Ron Guidry Statistics and History". Baseball-Reference.com. Sports Reference LLC. Retrieved August 15, 2009. 1 2 3 "Phil Niekro Statistics and History". Baseball-Reference.com. Sports Reference LLC. Retrieved August 15, 2009. 1 2 "Kenny Rogers Statistics and History". Baseball-Reference.com. Sports Reference LLC. Retrieved August 15, 2009. 1 2 "Jim Palmer Statistics and History". Baseball-Reference.com. Sports Reference LLC. Retrieved August 15, 2009. ↑ "Frank Lary Statistics and History". Baseball-Reference.com. Sports Reference LLC. Retrieved August 15, 2009. ↑ "Mike Norris Statistics and History". Baseball-Reference.com. Sports Reference LLC. Retrieved August 15, 2009. ↑ "Orel Hershiser Statistics and History". Baseball-Reference.com. Sports Reference LLC. Retrieved August 15, 2009. ↑ "Mark Langston Fielding Statistics and History". Baseball-Reference.com. Sports Reference LLC. Retrieved August 20, 2009. ↑ "Steve Carlton Fielding Statistics and History". Baseball-Reference.com. Sports Reference LLC. Retrieved August 20, 2009. ↑ "Joaquin Andujar Fielding Statistics and History". Baseball-Reference.com. Sports Reference LLC. Retrieved August 20, 2009. ↑ "Orel Hershiser Fielding Statistics and History". Baseball-Reference.com. Sports Reference LLC. Retrieved August 20, 2009. ↑ "Greg Maddux Fielding Statistics and History". Baseball-Reference.com. Sports Reference LLC. Retrieved August 20, 2009. ↑ "Kenny Rogers Fielding Statistics and History". Baseball-Reference.com. Sports Reference LLC. Retrieved August 20, 2009. ↑ "Bobby Shantz Fielding Statistics and History". Baseball-Reference.com. Sports Reference LLC. Retrieved August 20, 2009. ↑ "Bob Gibson Fielding Statistics and History". Baseball-Reference.com. Sports Reference LLC. Retrieved August 20, 2009. ↑ "Rick Reuschel Fielding Statistics and History". Baseball-Reference.com. Sports Reference LLC. Retrieved August 20, 2009. ↑ "Mike Hampton Fielding Statistics and History". Baseball-Reference.com. Sports Reference LLC. Retrieved August 20, 2009. 1 2 "1957 New York Yankees Batting, Pitching, & Fielding Statistics". Baseball-Reference.com. Sports Reference LLC. Retrieved August 2, 2009. 1 2 "The 1957 New York Yankees Roster". Retrosheet.org. Retrosheet, Inc. Retrieved August 19, 2009. ↑ "1958 New York Yankees Batting, Pitching, & Fielding Statistics". Baseball-Reference.com. Sports Reference LLC. Retrieved August 2, 2009. ↑ "The 1958 New York Yankees Roster". Retrosheet.org. Retrosheet, Inc. Retrieved August 19, 2009. ↑ "1959 New York Yankees Batting, Pitching, & Fielding Statistics". Baseball-Reference.com. Sports Reference LLC. Retrieved August 2, 2009. ↑ "The 1959 New York Yankees Roster". Retrosheet.org. Retrosheet, Inc. Retrieved August 19, 2009. ↑ "1960 New York Yankees Batting, Pitching, & Fielding Statistics". Baseball-Reference.com. Sports Reference LLC. Retrieved August 2, 2009. ↑ "The 1960 New York Yankees Roster". Retrosheet.org. Retrosheet, Inc. Retrieved August 19, 2009. ↑ "1961 Detroit Tigers Batting, Pitching, & Fielding Statistics". Baseball-Reference.com. Sports Reference LLC. Retrieved August 2, 2009. ↑ "The 1961 Detroit Tigers Roster". Retrosheet.org. Retrosheet, Inc. Retrieved August 19, 2009. ↑ "1962 Minnesota Twins Batting, Pitching, & Fielding Statistics". Baseball-Reference.com. Sports Reference LLC. Retrieved August 2, 2009. ↑ "The 1962 Minnesota Twins Roster". Retrosheet.org. Retrosheet, Inc. Retrieved August 19, 2009. ↑ "1963 Minnesota Twins Batting, Pitching, & Fielding Statistics". Baseball-Reference.com. Sports Reference LLC. Retrieved August 2, 2009. ↑ "The 1963 Minnesota Twins Roster". Retrosheet.org. Retrosheet, Inc. Retrieved August 19, 2009. ↑ "1964 Minnesota Twins Batting, Pitching, & Fielding Statistics". Baseball-Reference.com. Sports Reference LLC. Retrieved August 2, 2009. ↑ "The 1964 Minnesota Twins Roster". Retrosheet.org. Retrosheet, Inc. Retrieved August 19, 2009. ↑ "1965 Minnesota Twins Batting, Pitching, & Fielding Statistics". Baseball-Reference.com. Sports Reference LLC. Retrieved August 2, 2009. ↑ "The 1965 Minnesota Twins Roster". Retrosheet.org. Retrosheet, Inc. Retrieved August 19, 2009. ↑ "1966 Minnesota Twins Batting, Pitching, & Fielding Statistics". Baseball-Reference.com. Sports Reference LLC. Retrieved August 2, 2009. ↑ "The 1966 Minnesota Twins Roster". Retrosheet.org. Retrosheet, Inc. Retrieved August 19, 2009. ↑ "1967 Minnesota Twins Batting, Pitching, & Fielding Statistics". Baseball-Reference.com. Sports Reference LLC. Retrieved August 2, 2009. ↑ "The 1967 Minnesota Twins Roster". Retrosheet.org. Retrosheet, Inc. Retrieved August 19, 2009. ↑ "1968 Minnesota Twins Batting, Pitching, & Fielding Statistics". Baseball-Reference.com. Sports Reference LLC. Retrieved August 2, 2009. ↑ "The 1968 Minnesota Twins Roster". Retrosheet.org. Retrosheet, Inc. Retrieved August 19, 2009. ↑ "1969 Minnesota Twins Batting, Pitching, & Fielding Statistics". Baseball-Reference.com. Sports Reference LLC. Retrieved August 2, 2009. ↑ "The 1969 Minnesota Twins Roster". Retrosheet.org. Retrosheet, Inc. Retrieved August 19, 2009. ↑ "1970 Minnesota Twins Batting, Pitching, & Fielding Statistics". Baseball-Reference.com. Sports Reference LLC. Retrieved August 2, 2009. ↑ "The 1970 Minnesota Twins Roster". Retrosheet.org. Retrosheet, Inc. Retrieved August 19, 2009. ↑ "1971 Minnesota Twins Batting, Pitching, & Fielding Statistics". Baseball-Reference.com. Sports Reference LLC. Retrieved August 2, 2009. ↑ "The 1971 Minnesota Twins Roster". Retrosheet.org. Retrosheet, Inc. Retrieved August 19, 2009. ↑ "1972 Minnesota Twins Batting, Pitching, & Fielding Statistics". Baseball-Reference.com. Sports Reference LLC. Retrieved August 2, 2009. ↑ "The 1972 Minnesota Twins Roster". Retrosheet.org. Retrosheet, Inc. Retrieved August 19, 2009. ↑ "1973 Minnesota Twins Batting, Pitching, & Fielding Statistics". Baseball-Reference.com. Sports Reference LLC. Retrieved August 2, 2009. ↑ "The 1973 Minnesota Twins Roster". Retrosheet.org. Retrosheet, Inc. Retrieved August 19, 2009. ↑ "1973 Chicago White Sox Batting, Pitching, & Fielding Statistics". Baseball-Reference.com. Sports Reference LLC. Retrieved August 2, 2009. ↑ "The 1973 Chicago White Sox Roster". Retrosheet.org. Retrosheet, Inc. Retrieved August 19, 2009. ↑ "1974 Chicago White Sox Batting, Pitching, & Fielding Statistics". Baseball-Reference.com. Sports Reference LLC. Retrieved August 2, 2009. ↑ "The 1974 Chicago White Sox Roster". Retrosheet.org. Retrosheet, Inc. Retrieved August 19, 2009. ↑ "1975 Chicago White Sox Batting, Pitching, & Fielding Statistics". Baseball-Reference.com. Sports Reference LLC. Retrieved August 2, 2009. ↑ "The 1975 Chicago White Sox Roster". Retrosheet.org. Retrosheet, Inc. Retrieved August 19, 2009. ↑ "1976 Baltimore Orioles Batting, Pitching, & Fielding Statistics". Baseball-Reference.com. Sports Reference LLC. Retrieved August 2, 2009. ↑ "The 1976 Baltimore Orioles Roster". Retrosheet.org. Retrosheet, Inc. Retrieved August 19, 2009. ↑ "1977 Baltimore Orioles Batting, Pitching, & Fielding Statistics". Baseball-Reference.com. Sports Reference LLC. Retrieved August 2, 2009. ↑ "The 1977 Baltimore Orioles Roster". Retrosheet.org. Retrosheet, Inc. Retrieved August 19, 2009. ↑ "1978 Baltimore Orioles Batting, Pitching, & Fielding Statistics". Baseball-Reference.com. Sports Reference LLC. Retrieved August 2, 2009. ↑ "The 1978 Baltimore Orioles Roster". Retrosheet.org. Retrosheet, Inc. Retrieved August 19, 2009. ↑ "1979 Baltimore Orioles Batting, Pitching, & Fielding Statistics". Baseball-Reference.com. Sports Reference LLC. Retrieved August 2, 2009. ↑ "The 1979 Baltimore Orioles Roster". Retrosheet.org. Retrosheet, Inc. Retrieved August 19, 2009. ↑ "1980 Oakland Athletics Batting, Pitching, & Fielding Statistics". Baseball-Reference.com. Sports Reference LLC. Retrieved August 2, 2009. ↑ "The 1980 Oakland Athletics Roster". Retrosheet.org. Retrosheet, Inc. Retrieved August 19, 2009. ↑ "1981 Oakland Athletics Batting, Pitching, & Fielding Statistics". Baseball-Reference.com. Sports Reference LLC. Retrieved August 2, 2009. ↑ "The 1981 Oakland Athletics Roster". Retrosheet.org. Retrosheet, Inc. Retrieved August 19, 2009. ↑ "1982 New York Yankees Batting, Pitching, & Fielding Statistics". Baseball-Reference.com. Sports Reference LLC. Retrieved August 2, 2009. ↑ "The 1982 New York Yankees Roster". Retrosheet.org. Retrosheet, Inc. Retrieved August 19, 2009. ↑ "1983 New York Yankees Batting, Pitching, & Fielding Statistics". Baseball-Reference.com. Sports Reference LLC. Retrieved August 2, 2009. ↑ "The 1983 New York Yankees Roster". Retrosheet.org. Retrosheet, Inc. Retrieved August 19, 2009. ↑ "1984 New York Yankees Batting, Pitching, & Fielding Statistics". Baseball-Reference.com. Sports Reference LLC. Retrieved August 2, 2009. ↑ "The 1984 New York Yankees Roster". Retrosheet.org. Retrosheet, Inc. Retrieved August 19, 2009. ↑ "1985 New York Yankees Batting, Pitching, & Fielding Statistics". Baseball-Reference.com. Sports Reference LLC. Retrieved August 2, 2009. ↑ "The 1985 New York Yankees Roster". Retrosheet.org. Retrosheet, Inc. Retrieved August 19, 2009. ↑ "1986 New York Yankees Batting, Pitching, & Fielding Statistics". Baseball-Reference.com. Sports Reference LLC. Retrieved August 2, 2009. ↑ "The 1986 New York Yankees Roster". Retrosheet.org. Retrosheet, Inc. Retrieved August 19, 2009. ↑ "1987 Seattle Mariners Batting, Pitching, & Fielding Statistics". Baseball-Reference.com. Sports Reference LLC. Retrieved August 2, 2009. ↑ "The 1987 Seattle Mariners Roster". Retrosheet.org. Retrosheet, Inc. Retrieved August 19, 2009. ↑ "1988 Seattle Mariners Batting, Pitching, & Fielding Statistics". Baseball-Reference.com. Sports Reference LLC. Retrieved August 2, 2009. ↑ "The 1988 Seattle Mariners Roster". Retrosheet.org. Retrosheet, Inc. Retrieved August 19, 2009. ↑ "1989 Kansas City Royals Batting, Pitching, & Fielding Statistics". Baseball-Reference.com. Sports Reference LLC. Retrieved August 2, 2009. ↑ "The 1989 Kansas City Royals Roster". Retrosheet.org. Retrosheet, Inc. Retrieved August 19, 2009. ↑ "1990 Boston Red Sox Batting, Pitching, & Fielding Statistics". Baseball-Reference.com. Sports Reference LLC. Retrieved August 2, 2009. ↑ "The 1990 Boston Red Sox Roster". Retrosheet.org. Retrosheet, Inc. Retrieved August 19, 2009. ↑ "1991 California Angels Batting, Pitching, & Fielding Statistics". Baseball-Reference.com. Sports Reference LLC. Retrieved August 2, 2009. ↑ "The 1991 California Angels Roster". Retrosheet.org. Retrosheet, Inc. Retrieved August 19, 2009. ↑ "1992 California Angels Batting, Pitching, & Fielding Statistics". Baseball-Reference.com. Sports Reference LLC. Retrieved August 2, 2009. ↑ "The 1992 California Angels Roster". Retrosheet.org. Retrosheet, Inc. Retrieved August 19, 2009. ↑ "1993 California Angels Batting, Pitching, & Fielding Statistics". Baseball-Reference.com. Sports Reference LLC. Retrieved August 2, 2009. ↑ "The 1993 California Angels Roster". Retrosheet.org. Retrosheet, Inc. Retrieved August 19, 2009. ↑ "1994 California Angels Batting, Pitching, & Fielding Statistics". Baseball-Reference.com. Sports Reference LLC. Retrieved August 2, 2009. ↑ "The 1994 California Angels Roster". Retrosheet.org. Retrosheet, Inc. Retrieved August 19, 2009. ↑ "1995 California Angels Batting, Pitching, & Fielding Statistics". Baseball-Reference.com. Sports Reference LLC. Retrieved August 2, 2009. ↑ "The 1995 California Angels Roster". Retrosheet.org. Retrosheet, Inc. Retrieved August 19, 2009. ↑ "1996 Baltimore Orioles Batting, Pitching, & Fielding Statistics". Baseball-Reference.com. Sports Reference LLC. Retrieved August 2, 2009. ↑ "The 1996 Baltimore Orioles Roster". Retrosheet.org. Retrosheet, Inc. Retrieved August 19, 2009. ↑ "1997 Baltimore Orioles Batting, Pitching, & Fielding Statistics". Baseball-Reference.com. Sports Reference LLC. Retrieved August 2, 2009. ↑ "The 1997 Baltimore Orioles Roster". Retrosheet.org. Retrosheet, Inc. Retrieved August 19, 2009. ↑ "1998 Baltimore Orioles Batting, Pitching, & Fielding Statistics". Baseball-Reference.com. Sports Reference LLC. Retrieved August 2, 2009. ↑ "The 1998 Baltimore Orioles Roster". Retrosheet.org. Retrosheet, Inc. Retrieved August 19, 2009. ↑ "1999 Baltimore Orioles Batting, Pitching, & Fielding Statistics". Baseball-Reference.com. Sports Reference LLC. Retrieved August 2, 2009. ↑ "The 1999 Baltimore Orioles Roster". Retrosheet.org. Retrosheet, Inc. Retrieved August 19, 2009. ↑ "2000 Texas Rangers Batting, Pitching, & Fielding Statistics". Baseball-Reference.com. Sports Reference LLC. Retrieved August 2, 2009. ↑ "The 2000 Texas Rangers Roster". Retrosheet.org. Retrosheet, Inc. Retrieved August 19, 2009. ↑ "2001 New York Yankees Batting, Pitching, & Fielding Statistics". Baseball-Reference.com. Sports Reference LLC. Retrieved August 2, 2009. ↑ "The 2001 New York Yankees Roster". Retrosheet.org. Retrosheet, Inc. Retrieved August 19, 2009. ↑ "2002 Texas Rangers Batting, Pitching, & Fielding Statistics". Baseball-Reference.com. Sports Reference LLC. Retrieved August 2, 2009. ↑ "The 2002 Texas Rangers Roster". Retrosheet.org. Retrosheet, Inc. Retrieved August 19, 2009. ↑ "2003 New York Yankees Batting, Pitching, & Fielding Statistics". Baseball-Reference.com. Sports Reference LLC. Retrieved August 2, 2009. ↑ "The 2003 New York Yankees Roster". Retrosheet.org. Retrosheet, Inc. Retrieved August 19, 2009. ↑ "2004 Texas Rangers Batting, Pitching, & Fielding Statistics". Baseball-Reference.com. Sports Reference LLC. Retrieved August 2, 2009. ↑ "The 2004 Texas Rangers Roster". Retrosheet.org. Retrosheet, Inc. Retrieved August 19, 2009. ↑ "2005 Texas Rangers Batting, Pitching, & Fielding Statistics". Baseball-Reference.com. Sports Reference LLC. Retrieved August 2, 2009. ↑ "The 2005 Texas Rangers Roster". Retrosheet.org. Retrosheet, Inc. Retrieved August 19, 2009. ↑ "Detroit Tigers Batting, Pitching, & Fielding Statistics". Baseball-Reference.com. Sports Reference LLC. Retrieved August 2, 2009. ↑ "The 2006 Detroit Tigers Roster". Retrosheet.org. Retrosheet, Inc. Retrieved August 19, 2009. ↑ "2007 Minnesota Twins Batting, Pitching, & Fielding Statistics". Baseball-Reference.com. Sports Reference LLC. Retrieved August 2, 2009. ↑ "The 2007 Minnesota Twins Roster". Retrosheet.org. Retrosheet, Inc. Retrieved August 19, 2009. ↑ "2008 New York Yankees Batting, Pitching, & Fielding Statistics". Baseball-Reference.com. Sports Reference LLC. Retrieved August 2, 2009. ↑ "The 2008 New York Yankees Roster". Retrosheet.org. Retrosheet, Inc. Retrieved August 19, 2009. ↑ "2009 Chicago White Sox Batting, Pitching, & Fielding Statistics". Baseball-Reference.com. Sports Reference LLC. Retrieved August 2, 2009. ↑ "The 2009 Chicago White Sox Roster". Retrosheet.org. Retrosheet, Inc. Retrieved August 19, 2009. ↑ "2010 Chicago White Sox Batting, Pitching, & Fielding Statistics". Baseball-Reference.com. Sports Reference LLC. Retrieved November 9, 2010. ↑ "The 2010 Chicago White Sox Roster". Retrosheet.org. Retrosheet, Inc. Retrieved November 9, 2010. ↑ "Mark Buerhle Statistics and History". Baseball-Reference.com. Sports Reference LLC. Retrieved November 2, 2011. ↑ "Jeremy Hellickson Statistics and History". Baseball-Reference.com. Sports Reference LLC. Retrieved November 1, 2012. ↑ "Jake Peavy Statistics and History". Baseball-Reference.com. Sports Reference LLC. Retrieved November 1, 2012. 1 2 "R.A. Dickey Statistics and History". Baseball-Reference.com. Sports Reference LLC. Retrieved November 1, 2013. 1 2 3 4 "Dallas Keuchel Statistics and History". Baseball-Reference.com. Sports Reference LLC. Retrieved November 12, 2015. ↑ "1958 Cincinnati Reds Batting, Pitching, & Fielding Statistics". Baseball-Reference.com. Sports Reference LLC. Retrieved August 2, 2009. ↑ "The 1958 Cincinnati Reds Roster". Retrosheet.org. Retrosheet, Inc. Retrieved August 19, 2009. ↑ "1959 Pittsburgh Pirates Batting, Pitching, & Fielding Statistics". Baseball-Reference.com. Sports Reference LLC. Retrieved August 2, 2009. ↑ "The 1959 Pittsburgh Pirates Roster". Retrosheet.org. Retrosheet, Inc. Retrieved August 19, 2009. ↑ "1960 Pittsburgh Pirates Batting, Pitching, & Fielding Statistics". Baseball-Reference.com. Sports Reference LLC. Retrieved August 2, 2009. ↑ "The 1960 Pittsburgh Pirates Roster". Retrosheet.org. Retrosheet, Inc. Retrieved August 19, 2009. ↑ "1961 Pittsburgh Pirates Batting, Pitching, & Fielding Statistics". Baseball-Reference.com. Sports Reference LLC. Retrieved August 2, 2009. ↑ "The 1961 Pittsburgh Pirates Roster". Retrosheet.org. Retrosheet, Inc. Retrieved August 19, 2009. ↑ "1962 Houston Colt .45's Batting, Pitching, & Fielding Statistics". Baseball-Reference.com. Sports Reference LLC. Retrieved August 2, 2009. ↑ "The 1962 Houston Colt .45's Roster". Retrosheet.org. Retrosheet, Inc. Retrieved August 19, 2009. ↑ "1962 St. Louis Cardinals Batting, Pitching, & Fielding Statistics". Baseball-Reference.com. Sports Reference LLC. Retrieved August 2, 2009. ↑ "The 1962 St. Louis Cardinals Roster". Retrosheet.org. Retrosheet, Inc. Retrieved August 19, 2009. ↑ "1963 St. Louis Cardinals Batting, Pitching, & Fielding Statistics". Baseball-Reference.com. Sports Reference LLC. Retrieved August 2, 2009. ↑ "The 1963 St. Louis Cardinals Roster". Retrosheet.org. Retrosheet, Inc. Retrieved August 19, 2009. ↑ "1964 St. Louis Cardinals Batting, Pitching, & Fielding Statistics". Baseball-Reference.com. Sports Reference LLC. Retrieved August 2, 2009. 1 2 "The 1964 St. Louis Cardinals Roster". Retrosheet.org. Retrosheet, Inc. Retrieved August 19, 2009. ↑ "1964 Chicago Cubs Batting, Pitching, & Fielding Statistics". Baseball-Reference.com. Sports Reference LLC. Retrieved August 2, 2009. ↑ "The 1964 St. Louis Cardinals Roster". Retrosheet.org. Retrosheet, Inc. Retrieved August 19, 2009. ↑ "1964 Philadelphia athleticsBatting, Pitching, & Fielding Statistics". Baseball-Reference.com. Sports Reference LLC. Retrieved August 2, 2009. ↑ "1965 St. Louis Cardinals Batting, Pitching, & Fielding Statistics". Baseball-Reference.com. Sports Reference LLC. Retrieved August 2, 2009. ↑ "The 1965 St. Louis Cardinals Roster". Retrosheet.org. Retrosheet, Inc. Retrieved August 19, 2009. ↑ "1966 St. Louis Cardinals Batting, Pitching, & Fielding Statistics". Baseball-Reference.com. Sports Reference LLC. Retrieved August 2, 2009. ↑ "The 1966 St. Louis Cardinals Roster". Retrosheet.org. Retrosheet, Inc. Retrieved August 19, 2009. ↑ "1967 St. Louis Cardinals Batting, Pitching, & Fielding Statistics". Baseball-Reference.com. Sports Reference LLC. Retrieved August 2, 2009. ↑ "The 1967 St. Louis Cardinals Roster". Retrosheet.org. Retrosheet, Inc. Retrieved August 19, 2009. ↑ "1968 St. Louis Cardinals Batting, Pitching, & Fielding Statistics". Baseball-Reference.com. Sports Reference LLC. Retrieved August 2, 2009. ↑ "The 1968 St. Louis Cardinals Roster". Retrosheet.org. Retrosheet, Inc. Retrieved August 19, 2009. ↑ "1969 St. Louis Cardinals Batting, Pitching, & Fielding Statistics". Baseball-Reference.com. Sports Reference LLC. Retrieved August 2, 2009. ↑ "The 1969 St. Louis Cardinals Roster". Retrosheet.org. Retrosheet, Inc. Retrieved August 19, 2009. ↑ "1970 St. Louis Cardinals Batting, Pitching, & Fielding Statistics". Baseball-Reference.com. Sports Reference LLC. Retrieved August 2, 2009. ↑ "The 1970 St. Louis Cardinals Roster". Retrosheet.org. Retrosheet, Inc. Retrieved August 19, 2009. ↑ "1971 St. Louis Cardinals Batting, Pitching, & Fielding Statistics". Baseball-Reference.com. Sports Reference LLC. Retrieved August 2, 2009. ↑ "The 1971 St. Louis Cardinals Roster". Retrosheet.org. Retrosheet, Inc. Retrieved August 19, 2009. ↑ "1972 St. Louis Cardinals Batting, Pitching, & Fielding Statistics". Baseball-Reference.com. Sports Reference LLC. Retrieved August 2, 2009. ↑ "The 1972 St. Louis Cardinals Roster". Retrosheet.org. Retrosheet, Inc. Retrieved August 19, 2009. ↑ "1973 St. Louis Cardinals Batting, Pitching, & Fielding Statistics". Baseball-Reference.com. Sports Reference LLC. Retrieved August 2, 2009. ↑ "The 1973 St. Louis Cardinals Roster". Retrosheet.org. Retrosheet, Inc. Retrieved August 19, 2009. ↑ "1974 Los Angeles Dodgers Batting, Pitching, & Fielding Statistics". Baseball-Reference.com. Sports Reference LLC. Retrieved August 2, 2009. ↑ "The 1974 Los Angeles Dodgers Roster". Retrosheet.org. Retrosheet, Inc. Retrieved August 19, 2009. ↑ "1975 Los Angeles Dodgers Batting, Pitching, & Fielding Statistics". Baseball-Reference.com. Sports Reference LLC. Retrieved August 2, 2009. ↑ "The 1975 Los Angeles Dodgers Roster". Retrosheet.org. Retrosheet, Inc. Retrieved August 19, 2009. ↑ "1976 Philadelphia Phillies Batting, Pitching, & Fielding Statistics". Baseball-Reference.com. Sports Reference LLC. Retrieved August 2, 2009. ↑ "The 1976 Philadelphia Phillies Roster". Retrosheet.org. Retrosheet, Inc. Retrieved August 19, 2009. ↑ "1977 Philadelphia Phillies Batting, Pitching, & Fielding Statistics". Baseball-Reference.com. Sports Reference LLC. Retrieved August 2, 2009. ↑ "The 1977 Philadelphia Phillies Roster". Retrosheet.org. Retrosheet, Inc. Retrieved August 19, 2009. ↑ "1978 Atlanta Braves Batting, Pitching, & Fielding Statistics". Baseball-Reference.com. Sports Reference LLC. Retrieved August 2, 2009. ↑ "The 1978 Atlanta Braves Roster". Retrosheet.org. Retrosheet, Inc. Retrieved August 19, 2009. ↑ "1979 Atlanta Braves Batting, Pitching, & Fielding Statistics". Baseball-Reference.com. Sports Reference LLC. Retrieved August 2, 2009. ↑ "The 1979 Atlanta Braves Roster". Retrosheet.org. Retrosheet, Inc. Retrieved August 19, 2009. ↑ "1980 Atlanta Braves Batting, Pitching, & Fielding Statistics". Baseball-Reference.com. Sports Reference LLC. Retrieved August 2, 2009. ↑ "The 1980 Atlanta Braves Roster". Retrosheet.org. Retrosheet, Inc. Retrieved August 19, 2009. ↑ "1981 Philadelphia Phillies Batting, Pitching, & Fielding Statistics". Baseball-Reference.com. Sports Reference LLC. Retrieved August 2, 2009. ↑ "The 1981 Philadelphia Phillies Roster". Retrosheet.org. Retrosheet, Inc. Retrieved August 19, 2009. ↑ "1982 Atlanta Braves Batting, Pitching, & Fielding Statistics". Baseball-Reference.com. Sports Reference LLC. Retrieved August 2, 2009. ↑ "The 1982 Atlanta Braves Roster". Retrosheet.org. Retrosheet, Inc. Retrieved August 19, 2009. ↑ "1983 Atlanta Braves Batting, Pitching, & Fielding Statistics". Baseball-Reference.com. Sports Reference LLC. Retrieved August 2, 2009. ↑ "The 1983 Atlanta Braves Roster". Retrosheet.org. Retrosheet, Inc. Retrieved August 19, 2009. ↑ "1984 St. Louis Cardinals Batting, Pitching, & Fielding Statistics". Baseball-Reference.com. Sports Reference LLC. Retrieved August 2, 2009. ↑ "The 1984 St. Louis Cardinals Roster". Retrosheet.org. Retrosheet, Inc. Retrieved August 19, 2009. ↑ "1985 Pittsburgh Pirates Batting, Pitching, & Fielding Statistics". Baseball-Reference.com. Sports Reference LLC. Retrieved August 2, 2009. ↑ "The 1985 Pittsburgh Pirates Roster". Retrosheet.org. Retrosheet, Inc. Retrieved August 19, 2009. ↑ "1986 Los Angeles Dodgers Batting, Pitching, & Fielding Statistics". Baseball-Reference.com. Sports Reference LLC. Retrieved August 2, 2009. ↑ "The 1986 Los Angeles Dodgers Roster". Retrosheet.org. Retrosheet, Inc. Retrieved August 19, 2009. ↑ "1987 Pittsburgh Pirates Batting, Pitching, & Fielding Statistics". Baseball-Reference.com. Sports Reference LLC. Retrieved August 2, 2009. ↑ "The 1987 Pittsburgh Pirates Roster". Retrosheet.org. Retrosheet, Inc. Retrieved August 19, 2009. ↑ "1987 San Francisco Giants Batting, Pitching, & Fielding Statistics". Baseball-Reference.com. Sports Reference LLC. Retrieved August 2, 2009. ↑ "The 1987 San Francisco Giants Roster". Retrosheet.org. Retrosheet, Inc. Retrieved August 19, 2009. ↑ "1988 Los Angeles Dodgers Batting, Pitching, & Fielding Statistics". Baseball-Reference.com. Sports Reference LLC. Retrieved August 2, 2009. ↑ "The 1988 Los Angeles Dodgers Roster". Retrosheet.org. Retrosheet, Inc. Retrieved August 19, 2009. ↑ "1989 New York Mets Batting, Pitching, & Fielding Statistics". Baseball-Reference.com. Sports Reference LLC. Retrieved August 2, 2009. ↑ "The 1989 New York Mets Roster". Retrosheet.org. Retrosheet, Inc. Retrieved August 19, 2009. ↑ "1990 Chicago Cubs Batting, Pitching, & Fielding Statistics". Baseball-Reference.com. Sports Reference LLC. Retrieved August 2, 2009. ↑ "The 1990 Chicago Cubs Roster". Retrosheet.org. Retrosheet, Inc. Retrieved August 19, 2009. ↑ "1991 Chicago Cubs Batting, Pitching, & Fielding Statistics". Baseball-Reference.com. Sports Reference LLC. Retrieved August 2, 2009. ↑ "The 1991 Chicago Cubs Roster". Retrosheet.org. Retrosheet, Inc. Retrieved August 19, 2009. ↑ "1992 Chicago Cubs Batting, Pitching, & Fielding Statistics". Baseball-Reference.com. Sports Reference LLC. Retrieved August 2, 2009. ↑ "The 1992 Chicago Cubs Roster". Retrosheet.org. Retrosheet, Inc. Retrieved August 19, 2009. ↑ "1993 Atlanta Braves Batting, Pitching, & Fielding Statistics". Baseball-Reference.com. Sports Reference LLC. Retrieved August 2, 2009. ↑ "The 1993 Atlanta Braves Roster". Retrosheet.org. Retrosheet, Inc. Retrieved August 19, 2009. ↑ "1994 Atlanta Braves Batting, Pitching, & Fielding Statistics". Baseball-Reference.com. Sports Reference LLC. Retrieved August 2, 2009. ↑ "The 1994 Atlanta Braves Roster". Retrosheet.org. Retrosheet, Inc. Retrieved August 19, 2009. ↑ "1995 Atlanta Braves Batting, Pitching, & Fielding Statistics". Baseball-Reference.com. Sports Reference LLC. Retrieved August 2, 2009. ↑ "The 1995 Atlanta Braves Roster". Retrosheet.org. Retrosheet, Inc. Retrieved August 19, 2009. ↑ "1996 Atlanta Braves Batting, Pitching, & Fielding Statistics". Baseball-Reference.com. Sports Reference LLC. Retrieved August 2, 2009. ↑ "The 1996 Atlanta Braves Roster". Retrosheet.org. Retrosheet, Inc. Retrieved August 19, 2009. ↑ "1997 Atlanta Braves Batting, Pitching, & Fielding Statistics". Baseball-Reference.com. Sports Reference LLC. Retrieved August 2, 2009. ↑ "The 1997 Atlanta Braves Roster". Retrosheet.org. Retrosheet, Inc. Retrieved August 19, 2009. ↑ "1998 Atlanta Braves Batting, Pitching, & Fielding Statistics". Baseball-Reference.com. Sports Reference LLC. Retrieved August 2, 2009. ↑ "The 1998 Atlanta Braves Roster". Retrosheet.org. Retrosheet, Inc. Retrieved August 19, 2009. ↑ "1999 Atlanta Braves Batting, Pitching, & Fielding Statistics". Baseball-Reference.com. Sports Reference LLC. Retrieved August 2, 2009. ↑ "The 1999 Atlanta Braves Roster". Retrosheet.org. Retrosheet, Inc. Retrieved August 19, 2009. ↑ "2000 Atlanta Braves Batting, Pitching, & Fielding Statistics". Baseball-Reference.com. Sports Reference LLC. Retrieved August 2, 2009. ↑ "The 2000 Atlanta Braves Roster". Retrosheet.org. Retrosheet, Inc. Retrieved August 19, 2009. ↑ "2001 Atlanta Braves Batting, Pitching, & Fielding Statistics". Baseball-Reference.com. Sports Reference LLC. Retrieved August 2, 2009. ↑ "The 2001 Atlanta Braves Roster". Retrosheet.org. Retrosheet, Inc. Retrieved August 19, 2009. ↑ "2002 Atlanta Braves Batting, Pitching, & Fielding Statistics". Baseball-Reference.com. Sports Reference LLC. Retrieved August 2, 2009. ↑ "The 2002 Atlanta Braves Roster". Retrosheet.org. Retrosheet, Inc. Retrieved August 19, 2009. ↑ "2003 Atlanta Braves Batting, Pitching, & Fielding Statistics". Baseball-Reference.com. Sports Reference LLC. Retrieved August 2, 2009. ↑ "The 2003 Atlanta Braves Roster". Retrosheet.org. Retrosheet, Inc. Retrieved August 19, 2009. ↑ "2004 Chicago Cubs Batting, Pitching, & Fielding Statistics". Baseball-Reference.com. Sports Reference LLC. Retrieved August 2, 2009. ↑ "The 2004 Chicago Cubs Roster". Retrosheet.org. Retrosheet, Inc. Retrieved August 19, 2009. ↑ "2005 Chicago Cubs Batting, Pitching, & Fielding Statistics". Baseball-Reference.com. Sports Reference LLC. Retrieved August 2, 2009. ↑ "The 2005 Chicago Cubs Roster". Retrosheet.org. Retrosheet, Inc. Retrieved August 19, 2009. ↑ "2006 Chicago Cubs Batting, Pitching, & Fielding Statistics". Baseball-Reference.com. Sports Reference LLC. Retrieved August 2, 2009. ↑ "The 2006 Chicago Cubs Roster". Retrosheet.org. Retrosheet, Inc. Retrieved August 19, 2009. ↑ "2006 Los Angeles Dodgers Batting, Pitching, & Fielding Statistics". Baseball-Reference.com. Sports Reference LLC. Retrieved August 2, 2009. ↑ "The 2006 Los Angeles Dodgers Roster". Retrosheet.org. Retrosheet, Inc. Retrieved August 19, 2009. ↑ "2007 San Diego Padres Batting, Pitching, & Fielding Statistics". Baseball-Reference.com. Sports Reference LLC. Retrieved August 2, 2009. ↑ "The 2007 San Diego Padres Roster". Retrosheet.org. Retrosheet, Inc. Retrieved August 19, 2009. ↑ "2008 San Diego Padres Batting, Pitching, & Fielding Statistics". Baseball-Reference.com. Sports Reference LLC. Retrieved August 2, 2009. ↑ "The 2008 San Diego Padres Roster". Retrosheet.org. Retrosheet, Inc. Retrieved August 19, 2009. ↑ "2008 Los Angeles Dodgers Batting, Pitching, & Fielding Statistics". Baseball-Reference.com. Sports Reference LLC. Retrieved August 2, 2009. ↑ "The 2008 Los Angeles Dodgers Roster". Retrosheet.org. Retrosheet, Inc. Retrieved August 19, 2009. ↑ "2009 St. Louis Cardinals Batting, Pitching, & Fielding Statistics". Baseball-Reference.com. Sports Reference LLC. Retrieved August 2, 2009. ↑ "The 2009 St. Louis Cardinals Roster". Retrosheet.org. Retrosheet, Inc. Retrieved August 19, 2009. ↑ "2010 Cincinnati Reds Batting, Pitching, & Fielding Statistics". Baseball-Reference.com. Sports Reference LLC. Retrieved November 10, 2010. ↑ "The 2010 Cincinnati Reds Roster". Retrosheet.org. Retrosheet, Inc. Retrieved August 19, 2009. ↑ "2011 Los Angeles Dodgers Batting, Pitching, & Fielding Statistics". Baseball-Reference.com. Sports Reference LLC. Retrieved November 6, 2013. ↑ "The 2011 Los Angeles Dodgers Roster". Retrosheet.org. Retrosheet, Inc. Retrieved November 6, 2013. ↑ "2012 Miami Marlins Batting, Pitching, & Fielding Statistics". Baseball-Reference.com. Sports Reference LLC. Retrieved November 6, 2013. ↑ "The 2012 Miami Marlins Roster". Retrosheet.org. Retrosheet, Inc. Retrieved November 6, 2013. ↑ "2013 St. Louis Cardinals Batting, Pitching, & Fielding Statistics". Baseball-Reference.com. Sports Reference LLC. Retrieved November 6, 2013. ↑ "The 2013 St. Louis Cardinals Roster". Retrosheet.org. Retrosheet, Inc. Retrieved November 6, 2013. ↑ "2014 Los Angeles Batting, Pitching, & Fielding Statistics". Baseball-Reference.com. Sports Reference LLC. Retrieved November 12, 2015. ↑ "The 2014 Los Angeles Dodgers Roster". Retrosheet.org. Retrosheet, Inc. Retrieved November 7, 2014. ↑ "2015 Los Angeles Batting, Pitching, & Fielding Statistics". Baseball-Reference.com. Sports Reference LLC. Retrieved November 12, 2015. ↑ "The 2015 Los Angeles Dodgers Roster". Retrosheet.org. Retrosheet, Inc. Retrieved November 12, 2015.